Welcome Offer: 35,000 bonus Membership Rewards points when you spend at least $5,000 in eligible purchases within 3 months of opening your account; 1 year free of G Suite Basic for 3 users and up to 1 year free of ZipRecruiter Standard in your first 12 months of Card membership. Terms and Conditions Apply: For rates and fees of the American Express® Business Gold Card, please visit this rates and fees page. 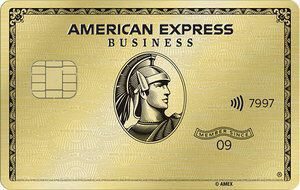 The American Express® Business Gold Card is a small business charge card with a $295 annual fee. As a charge card, Business Gold doesn’t incur regular interest charges; however, you’re required to pay your balance in full by each statement cycle’s due date. Failure to do so for 2 or more consecutive cycles may result in the closure of your account. The Business Gold Card competes with a number of other business credit cards and charge cards, including American Expresses “color” charge card family (Platinum, Green, and Plum), Blue Business Plus Credit Card from American Express, and SimplyCash Plus Business Credit Card from American Express. Though American Express doesn’t get into specifics about how it screens card applicants, it definitely positions Business Gold as a high-end card for very well-qualified applicants. If you have any serious blemishes on your credit, you likely won’t qualify for this card. When you spend at least $5,000 in eligible purchases on your Business Gold card within 3 months of opening your account, you’ll get 35,000 bonus Membership Rewards points. Plus, enjoy 1 year free of G Suite Basic for 3 users and up to 1 year free of ZipRecruiter Standard (via statement credits for card purchases) in your first 12 months of Card membership. This represents a total potential value of more than $3,000. This card earns 4 Membership Rewards points per $1 spent on the first $150,000 in combined annual purchases made in 2 of the following categories: airfare purchased directly from airlines, U.S. advertising, U.S. gas stations (including fuel and non-fuel), U.S. restaurants, U.S. shipping (including UPS and FedEx), and computer technology (including hardware, software, and cloud computing services). These categories apply to U.S.-based purchases only, with the exception being airfare, which does not need to be purchased in the U.S. The 4x categories are automatically chosen for you based on your spending patterns – they’re your 2 top-spending categories of the year. All other purchases earn unlimited 1 point per $1 spent, including purchases in the 2 bonus categories above the $150,000 annual spending cap. Travel purchases made through American Express Travel, the company’s travel portal, earn an unlimited 2 points per $1 spent. All other purchases earn an unlimited 1 point per $1 spent. Accumulated Membership Rewards can be redeemed for general merchandise, travel, transportation (including Uber rides), gift cards, and statement credits. Redemption minimums start at 1,000 and vary by redemption method. Point values vary as well: Membership Rewards points are generally worth $0.01 apiece when redeemed for merchandise, but just $0.006 when redeemed for statement credits. The annual fee is $295. There is no foreign transaction fee. For rates and fees of the American Express® Business Gold Card, please visit this rates and fees page. After you use Pay With Points to cover all or part of a flight booked with American Express Travel, you’ll get 25% of your points back. To qualify, the flight must either on your selected qualifying airline or a first or business class reservation. This benefit is limited to 250,000 points back per calendar year. Because the Business Gold Card is a charge card, cardholders are usually required to pay their balance in full at the end of each billing period. Those who fail to do so risk account closure after two consecutive periods of non-full payment. However, American Express’s Pay Over Time feature allows longstanding cardmembers to circumvent this requirement on purchases over $100. Pay Over Time permits cardholders to carry balances indefinitely, with interest, from month to month. Like carried balances on regular credit cards, Pay Over Time balances accrue interest charges at variable rates, depending on prevailing interest rates and cardholder creditworthiness. The current Pay Over Time rate range is 16.49% to 24.49% APR variable. Business Gold comes with a great lineup of business-friendly benefits, including adjustable employee spending limits on employee cards, and expense tagging and tracking. Generous Rewards With High Category Caps. This card has a pretty generous rewards program. Its 4X category is capped at $150,000 in annual spending in your 2 top-spending categories, which means you can net up to 600,000 points across those two categories. The 1x category isn’t capped at all. This is great for business owners with high spending needs, and a significant advantage over less generous competitors such as Chase Ink Business Cash ($25,000 category limits). Lots of Reward Redemption Options. Business Gold allows you to redeem accumulated Membership Rewards points for just about anything, including general merchandise, travel, and cash equivalents (gift cards and statement credits). Some competing cards, such as Capital One Spark Cash (cash equivalents only) and Spark Miles for Business (travel purchase offsets only), are less flexible. No Foreign Transaction Fee. Business Gold doesn’t have a foreign transaction fee, a nice perk for cardmembers who travel outside the U.S. often. The U.S. Bank BusinessEdge WorldElite Mastercard, a competing business credit card, has a foreign transaction fee of 2% to 3%. Solid Welcome Offer. The Business Gold Card’s welcome offer includes 35,000 bonus Membership Rewards points (a value of $350 or more, depending on how you redeem) and more than $3,000 in complimentary services. That’s far more than most competing business cards’, though services are of course not as flexible as cash. Lots of Value-Added Benefits. The Business Gold Card has a number of attractive value-added cardmember benefits, such as 24/7 global assistance and roadside assistance. Neither is available to Chase Ink Business Cash or Ink Business Preferred customers. Airline Redemption Bonus. When you use Pay With Points to pay for all or part of a flight booked with American Express Travel, you’ll get 25% of your points back, up to 250,000 points back per calendar year. Qualifying reservations must either on your selected qualifying airline or for first or business class reservation. Relatively High Annual Fee. The Business Gold Card’s $295 annual fee is higher than that of many competing cards, including the Business Green Rewards Card from American Express ($95), Chase Ink Business Preferred ($95), and Capital One Spark Miles for Business ($95). This is a big drawback for cardmembers who don’t spend heavily enough – and thus earn rewards fast enough – to offset the annual outlay. Strict Qualification Requirements. The Business Gold Card is a high-end credit card with very strict qualification standards. If American Express deems that your credit isn’t good to excellent, or that your business lacks adequate cash flow, you won’t be approved for this card. Some competing cards, such as the American Express Blue Business Plus and the Capital One Spark family, have somewhat looser (though still choosy) underwriting standards. Usually Need to Pay in Full Each Month. Unless you’re approved for American Express’s Pay Over Time feature, which typically requires a long period of predictable repayments and responsible card usage, because this is a charge card, you’re required to pay your Business Gold balance in full each month. 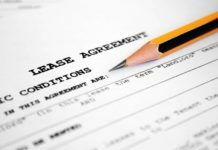 This is a potential deal-breaker for business owners who wish to make large, one-off purchases, perhaps for new equipment or inventory, and pay over several months. If you want the flexibility to carry a balance, look to competing business credit cards – not charge cards – such as American Express’s Blue Business Plus and the U.S. Bank BusinessEdge, which allow all cardholders to carry balances. No Native Payment Processing System. Business Gold doesn’t integrate directly with an in-house payment system. This is inconvenient for mobile business owners who wish to accept payments on the go and sync their business spending via Business Gold with their cash flow. Chase’s Checkout system, available to Ink Business Preferred and Ink Business Cash cardholders, offers this opportunity. The American Express® Business Gold Card is a member of American Express’s “color” business charge card family, which also includes the Plum Card, Business Green Rewards, and Business Platinum. Blue Business Plus is a credit card, though it does share the Membership Rewards program. Since it belongs to a larger card family, it’s helpful to think of the Business Gold Card as part of a business charge card ladder. Each rung on this ladder offers progressively more generous rewards and benefits. If your credit or cash flow doesn’t qualify you to stand on a higher rung, you can start lower and try to work your way up. Business Gold occupies a middle rung on this ladder. If your business is very small, just starting out, or both, set your sights on American Express’s Business Green Rewards Card, a less exclusive charge card option. If things go well, you have the opportunity to work up to Business Gold. And, if things really take off, there’s an even higher rung on the ladder: the generous (though costly, with a $595 annual fee) Business Platinum card. For rates and fees of the American Express® Business Gold Card, please visit this rates and fees page. The Business Gold Card is ideal for business owners with high spending needs in at least one of the favored spending categories, plus those with a preference for a generous rewards program with lots of versatile redemption options. It’s not suitable for business owners who can’t earn rewards fast enough to justify the $295 annual fee. Generous and versatile rewards, great welcome offer, no foreign transaction fee, and value-added benefits are all advantages. A high annual fee, strict qualification requirements, pay-in-full requirement, and lack of payment processing are drawbacks.